New Dialect is a nonprofit contemporary dance collective and training program based in Nashville. Our mission is to advance the evolution of our art form by inspiring people of all social backgrounds, cultures, and generations with authentic, high-quality dance workshops and performances that connect us more deeply to ourselves and each other. To this end, we strive to be a resource for choreographers, dancers, and teaching artists in need of a fertile and supportive environment in which to deepen their own movement research. Designed to be a research lab, New Dialect aims to facilitate an environment where movers of all kinds can explore the wide variety of groundbreaking movement vocabularies that exist in the world of contemporary dance. Having greatly benefited from her training at Juilliard, founder and artistic director Banning Bouldin now endeavors to foster a fertile and supportive environment, where people are given “tools not rules” that allow them to connect deeply with their bodies as they learn how to interpret a broad range of choreographic languages with skill and authenticity. The name of our collective has its origins in a linguistic term that explains how new dialects are formed when varying language groups come into contact with each other. In a similar fashion, New Dialect exists as a hub for choreographers, dancers, and teaching artists in search of time and space in which to explore their own movement dialects. As they come in contact with one another, new dialects are formed. Our year-round training program includes a daily offering of training classes, evening classes, regularly scheduled aesthetic educational workshops, Winter & Summer Intensives, Teen Intensives, and Girl Power. Each of these opportunities encourages participants in their personal movement research, while allowing our teaching faculty and guest instructors the opportunity to explore and refine their syllabi. For more information on our class schedules, fees, and current teaching artists, check out our Classes. New Dialect seeks to redefine the experience of its audience members by stepping outside the traditional parameters of the theater with performances and dance films created specifically for urban spaces, galleries, parks, and green ways. Check out our Events for upcoming projects, installations, films, and free happenings. 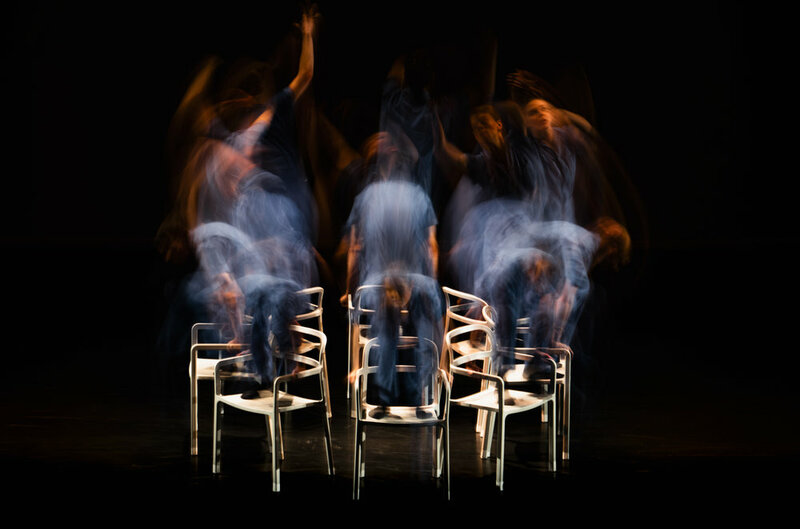 Emerging and established choreographers are offered a residency with the dancers of New Dialect, where they will have the opportunity to research their movement language on a versatile company of dancers and present their work in progress. New Dialect offers a series of classes that includes classes especially geared for professional dancers, as well as offerings designed for men and women with no previous dance experience. Check out our Classes page for an up-to-date list of current classes open to all members of the community.